CITY Hall department heads and employees were recognized during the 82nd Charter Day celebration of Cebu City on Sunday, Feb. 24. Leading the awardees were Department of General Services (DGS) head Ronald Malacora and Cebu City Registrar lawyer Evangeline Abatayo, who received the award for outstanding department head in big and small category, respectively. City Accounting Office assistant head Giovanni Delgado and DGS assistant chief Engineer Alberto Bontuyan were also awarded as outstanding assistant department heads for big and small category, respectively. For their excellent service, the Office of the Civil Registrar and DGS were also awarded as the outstanding departments. “I’m very grateful that our office’s efforts were recognized, and that they saw all the hard work we put in to improve our service to the public,” Malacora said in Cebuano. Dr. Jessica Maribojoc of the Department of Veterinary Medicine and Fisheries (DVMF) was also awarded as outstanding division chief while the office head, Dr. Alice Utlang, was a finalist for the outstanding department head category. 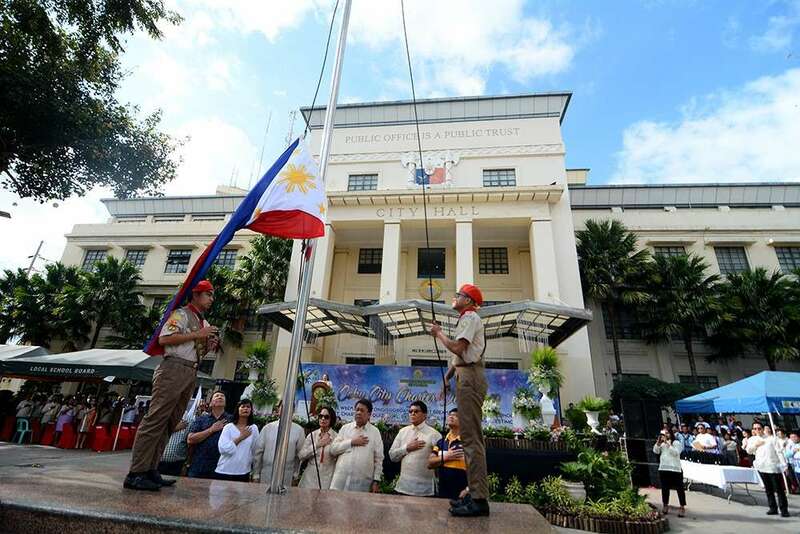 The city also awarded outstanding employees namely Dominador Penoliar III from the City Budget Office, Migrenio Amores of the City Accounting Office, Casandra Dilao from DVMF, Marilfa Berdin from the City Planning Office and Romeo Dela Cerna and Jose Cosido of the Department of Public Services. City officials gave the outstanding department heads and employees a plaque and cash award. During the program at Plaza Sugbo on Sunday morning, the City Government also recognized 26 graduates from different colleges and universities in Cebu who were topnotchers in board examinations in 2018. The 26 topnotchers were led by Megan Ashley Bartido, who topped the Respiratory Therapist Licensure Examinations, and Joseph Vincent Satura, who topped the 2018 Naval Architecture and Marine Engineers Licensure Examinations.